Today I had a great day at my little thrift store. Look at this haul! I collect vintage cameras so I was very excited to add a fold out camera to the collection. 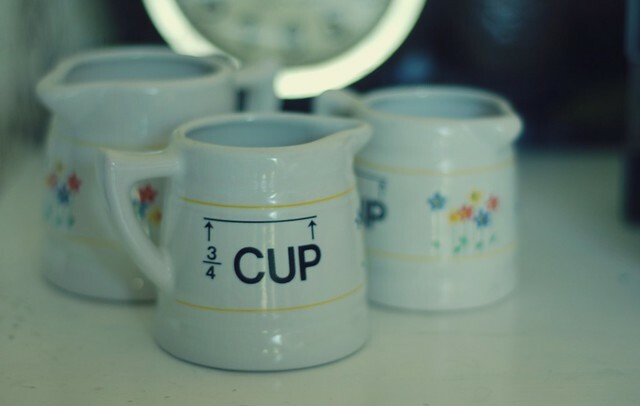 These vintage measuring cups will look so cute perched on my windowsill. 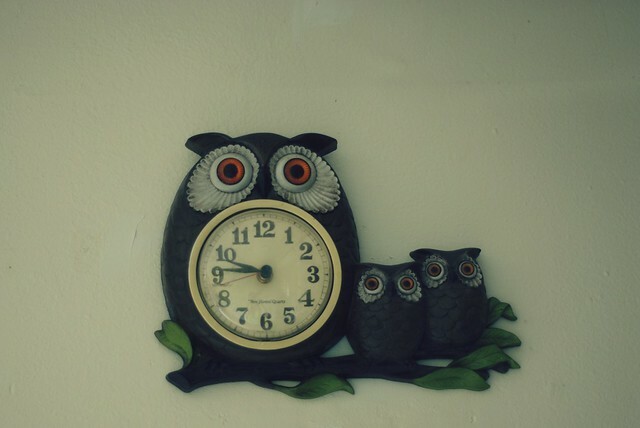 This is the cutest owl clock in the world. It was still ticking when I picked it off the shelf. I was so happy to find this. 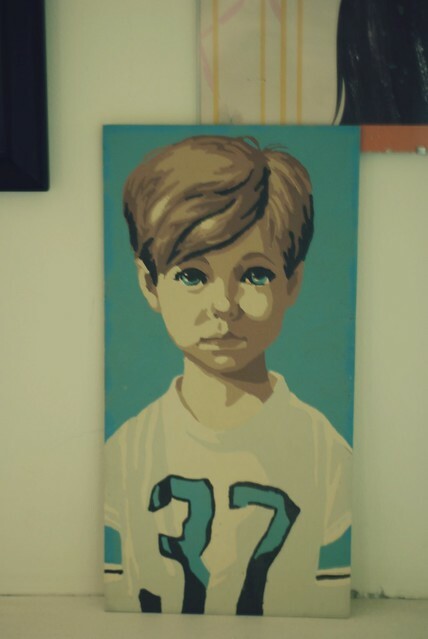 I was drawn to this 70's portrait of a little boy. It was 50 cents and it is a actual painting so I bought it. I like his sweet innocent eyes. Last night we got to know our neighbors a little better. My neighbor is a plant whisperer. She owns many, many, many plants. Seriously her house is full of plants. It's almost a greenhouse. I love it. When I told her I liked succulents she went crazy a brought me over a whole bunch. People are so nice in this little town. 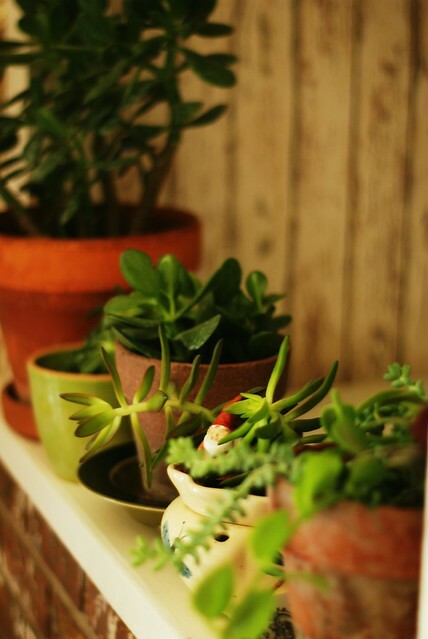 So here is my own little succulent garden. What a nice neighbor! 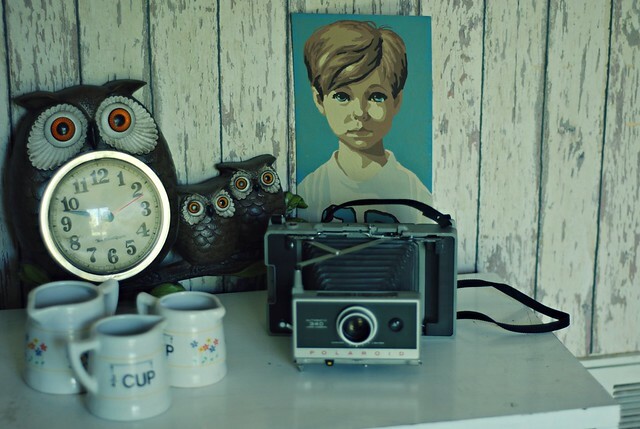 Love your haul, that clock is awesome! Glad you're settling in okay!